Is your DNA recorded on a database somewhere? The UK's DNA database is the biggest national DNA database the world. And our Home Office wants more of us registered on it. How does this affect your privacy? If you've ever been accused of a crime - even if you were cleared - then you're on this national database, which holds the records of more than 4 million people. In 2003, the Criminal Justice Act made it legal for DNA samples to be taken as soon as people are arrested - and maintained if they are acquitted. The UK National DNA database now contains records of juveniles and adults who have never committed a crime, and even people who have been mistaken for someone else. It also includes victims of crime who have volunteered their information to the police, making privacy an important issue here. The UK Crime Intelligence Database was established in 1995, when DNA profiling became widely available. The Home Office insists that the national DNA database is not held for any purpose but for police investigations. The database runs automatically. This means that officers submit samples of blood or saliva taken from the scene of a crime, and the database checks routinely through its records until a match is found. The system can even identify DNA of potential family members, so unregistered offenders can also be identified that way. It's claimed that this UK DNA database has more than tripled the number of crimes that are successfully solved in the UK. In 2006, 45,000 crimes were solved using the national DNA database. No wonder the Home Office plans to grow this database in the next few years. But how exactly will this affect us and our privacy? 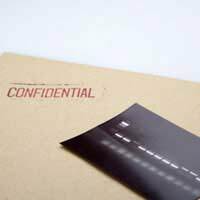 What Are The Privacy Issues Surrounding The National DNA Database? One of the main privacy problems with the UK DNA Database - as far as the public is concerned - is the records of people who have never committed a crime. The wrongfully accused are never erased from the database. Children aged between 10 and 18 are not excluded from this, either, and there is a large proportion of juveniles on record. The Black Police Association has expressed its indignance at the proportion of black to white people on the national DNA database, too. It is said to hold the DNA records of 37% of black men in England and Wales - compared with just 10% of white men. In 2007 a senior judge added his voice to this dissent, suggesting that the entire population should be on the UK DNA database - which would be fairer than a database of people accused of crimes. This, of course, has not been well-received by privacy groups. Another privacy suggestion was that DNA records should be erased after a certain period of time has lapsed, so that the wrongfully accused in particular do not remain on the criminal database. I have found out that my dad of 33yrs is actually not my real father. I have no leads to my real father at all. Is it possible to do a national DNA search of this man or his family . Please help as this is effecting my life.